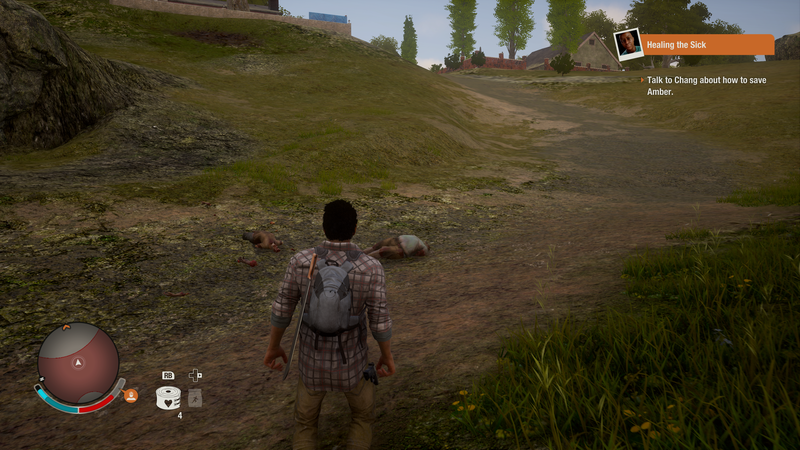 The dead, in the case of Undead Labs' State of Decay 2, have been walking the earth for a good long while before you're involved. 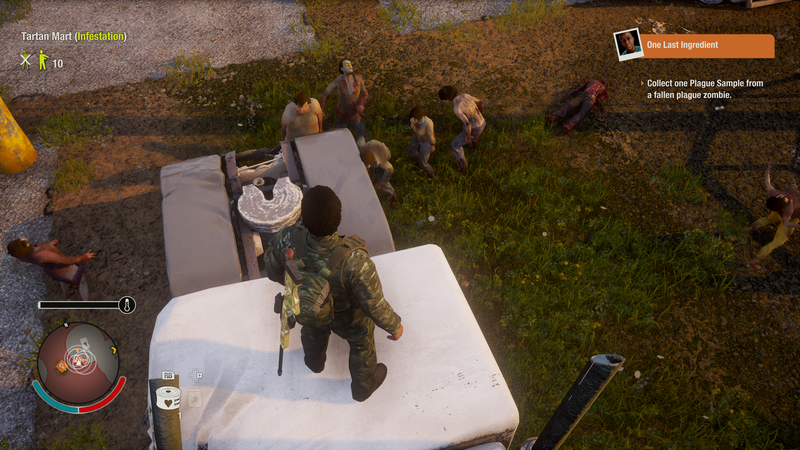 The zombie apocalypse has well and truly apocalypsed, and instead State of Decay centres on the logistics of actually surviving a world where the shambling dead are at the top of the food chain. State of Decay 2 is a game about these logistical survival details. While it is possible to be killed by zombies, it's more likely you'll be killed thanks to a lack of medical supplies to treat infections, or a lack of food to keep everyone fed. Even when you are killed in combat, it's often due to mismanagement somewhere: you've run out of gas to escape, taken out a fatigued character instead of resting them, or, perhaps, just failed to keep track of how much noise you were making, drawing in hordes from all over town. The focus on these smaller systems is obvious, and it's unfortunate because while they would be a great underpinning for a solid action game, here they pull focus away from essential parts like the combat, the shooting, or the driving. 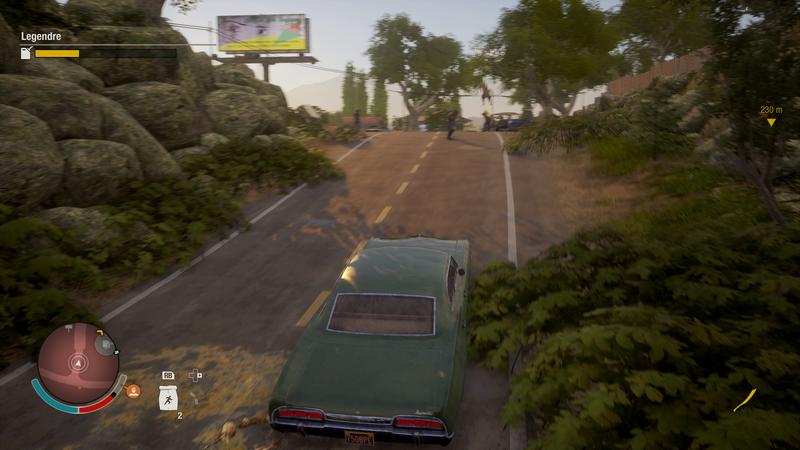 State of Decay 2 is a game about fetching things, and while that would be okay if it felt good to get out there and fetch things, playing the game is actually quite mundane. It's a mundaneness that sneaks up on you, because at first it appears the developers have done a lot of things right. Starting the game, you're encouraged to pick two survivors who have a narrative relationship, before guiding them through an introduction that trains you in the game's basics while also fleshing out the characters. Then you get dumped into one of three big open maps and are told to find a house to set up in. Then it becomes a fairly rote survival game. It's probably the best zombie survival game out there, but after the first hour or so it becomes abundantly clear that it isn't fleshed out enough yet. It's exactly like the open-ended content added in State of Decay's Breakdown DLC, but that was a fun curio whereas this is the meat of the main game. By the time I hit ten hours, I felt more like a delivery driver than a hard-bitten survivor, pulling my car up outside a supermarket, bagging up some food, tossing it in the boot of the car and driving back to base. At night, things become much more dangerous, but dangerous is good because the game is never as exciting as when you're vaulting out of a window to escape a crowd or clambering to the top of a vehicle with your hard-earned gains to try and find a way to get out with the goods (and your life). Sadly, these exciting moments are all too rare. However, there are several things in the game that I adored, despite my general disinterest in the game's systems and gameplay. The individual character development system, which sees characters level up in individual skills before being given a selection of perks to decide from, lets you customise your entire settlement for a mix between beefy tanks, stealthy swordsman, assault rifle wielding commandos, or even sneaky snipers. There are a lot of different perks, and quickly every survivor in your little enclave has a role to fill and a unique play-style to get the most out of their abilities. This system is remarkable and the game's crowning achievement. This plays into State of Decays 2's permadeath mechanic too, meaning that when someone is dead you lose a unique character - through mechanics if not narrative. You're encouraged to shuffle and switch them because of how long it takes to rest and recover from injury, but even if you can avoid harm, eventually the character you play as will get fatigued, mandating a change to someone else, which keeps things interesting, except for the rare moments when you can't actually play any of the good guys and you need to try and take your base doctor out to kill zombies, adding an extra level of panic to the proceedings. I also got a kick out of the base-building, which sees you converting your hideout to something capable of supporting a small community. There are a lot of interesting strategic decisions here: Fresh water is a massive boon, but power will let you put the lights on at night. Meanwhile, a watch-tower and an armed survivor could help keep the area around your base safe. However, you can rarely fit everything you want in one place, and each large facility that you add to your limited space makes more noise. Noise, considering you're trying not to alert the city full of ravenous creatures to your location, is often bad. 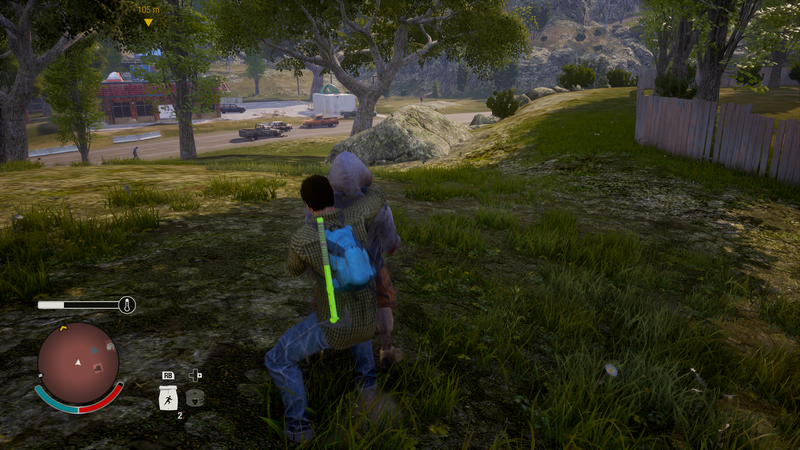 Across the board, State of Decay 2 is an improvement on the previous game. The gunplay feels more fluid, and there's more heft to the melee combat. However, it's still not enough to make the game feel engaging, something that immediately becomes a large issue as soon as you realise the game functions as one big fetch quest: While you're fetching a variety of different items, the way you'll do it is identical. For a lot of people, this won't be an issue. 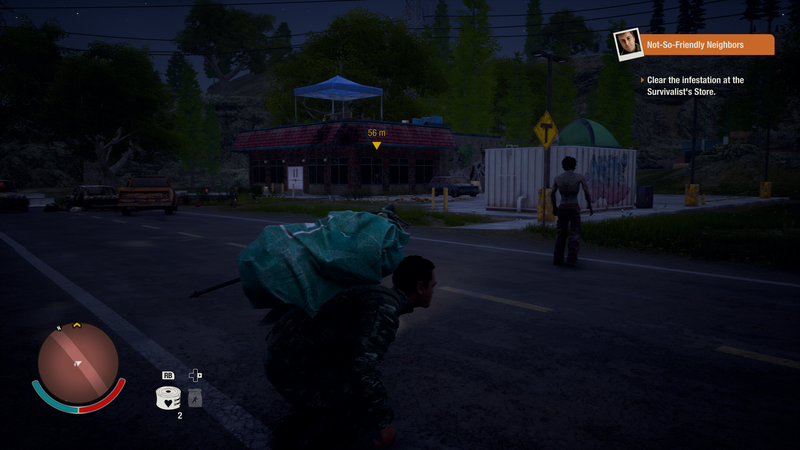 State of Decay 2 does a good job of conveying what it wants to convey: the harsh existence a group of humans might face after the zombies rise up and take the earth. Unfortunately, that causes friction when it rubs up against the action sensibilities of the title. Thing is, surviving in the wasteland isn't all that much fun. It's all work and no play. That makes State of Decay 2 a very dull game. Which is a shame, because there are plenty of good ideas wrapped up here in the murky soup.